You may already know that a bulldog market is UK’s foreign bond market; in it, exchanges are quoted in GBP (or Great Britain Pounds). But, how familiar are you with it? Are you in on the fact that it’s different from the often heard market: the bull market or the bullish market? Are you aware that it’s a place that adheres to strict regulations? And, are you wondering whether every transaction in the said market is just like one that’s done in any other market? If you’re quite new to the other concepts of the term, taking a basic course is best. It is often confused with the bull market or the bullish market – especially by novice financial fellows. The two terms are not one and the same; it is defined as UK’s foreign market, while the bull market or the bullish market focuses on market condition, and is defined as the market where the prices of securities are on the rise. In it, there are many companies that gather funds, and these companies are required to adhere to the regulations of British financial law, under England’s Central Bank. In it, every transaction proceeds as how operations in other foreign markets go; in it, currency pairs are quoted directly (GBP as the base currency). It serves as an internal market; even traders who reside outside the UK are granted permission to buy and/or sell securities so long as bonds are issued in the country. It is, therefore, different from UK’s external market; traders with bonds that were not issued in the country do not have the right to buy and/or sell currencies. A chief reason why it’s a popular market is its big historical reach; it accommodated other markets including the ones from India, Australia, and Hong Kong. 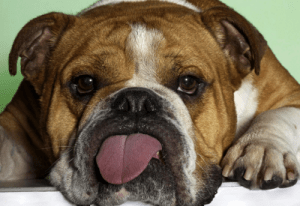 Just like other foreign markets, the Rembrandt market (Netherlands), the Yankee market (US), and the Matador market (Spain), it is a market that honors the national mascot of UK: the English Bulldog. It is in a stable condition; with UK as one of the global financial leaders, and GBP as a major and dominant currency of worldwide financial markets, it is a market that provides opportunities for investments with relative low risks.